Time for another book excerpt, this time from Mixing And Mastering With T-RackS: The Official Guide. In it we'll take a look at using mix bus compression. Generally you’ll find that most renowned mixers use the buss compressor to add a sort of “glue” to the track so the instruments fit together better, but that also means that they’ll actually use very little compression. In fact, sometimes only a dB or two of gain reduction at the most is added for the final mix. That being said, many mixers will also offer their clients (artists, band members, producers and label execs) a more compressed version to simulate what it will sound like after it’s mastered. This “client mix” is achieved by using a signal path across the mix buss that’s similar to what a mastering engineer would use, that is, a compressor that’s fed into limiter at the end of the chain to raise the level to a point similar to a mastered release. Because the clients get used to hearing the “client mix,” it’s so easy to let buss compression get out of hand. One of the problems with compressing too much is that it leaves the mastering engineer a lot less room to work, and in the case of a track that’s “hyper-compressed”, virtually eliminates the ability for the mastering engineer to be of much help at all. There are two times during the mix that you can insert your buss compression - when you first start the mix or towards completion. While the two choices might not seem all that different, you will get a slightly different result from each. If you wait to insert the buss compressor later in the mix, (the way it’s been traditionally done), the compressor settings will be a little less aggressive since you’ve probably already inserted a pretty good amount of compression on the individual tracks. Usually it’s inserted at the point during the mix where most of your elements and effects have already been added to your mix and it’s now time to concentrate on balances. One of the advantages of inserting buss compression towards the end is that if you don’t like the sound, you can easily substitute a different compressor or even eliminate it all together. It doesn’t take much (usually a dB or two) to make a sonic difference to where it’s at least a little bigger sounding. 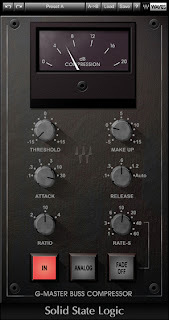 The other way is to insert the buss compressor right at the start of the mix and build your mix into it. Since this affects the dynamics of the mix right from the beginning, mixing this way might take a little getting used to, but it has some advantages. First, the mix comes together a little quicker since it has that “glue” almost right away as a result. Second, you’ll find yourself using a little less compression on the individual tracks. 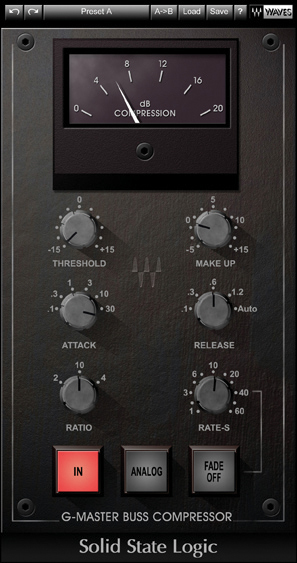 This has the secondary benefit of giving you greater control of the overall compression of the mix. If you feel like there’s too much, it’s pretty easy to back off on the buss compressor to where you or your client feels better about it (if that’s what they’re looking for), where if you added it towards the end, sometimes the only way to dial it back is to tweak the individual instrument compression, which can take quite a bit of time and rebalancing. The third thing is that the buss compressor tends to even out the levels of the individual instruments a lot so you need less automation. The downside of doing it this way is that if you decide you don’t like the sound of the compressor, the overall sound and balance of the mix can change a lot when you insert a different one. When starting with the buss compressor in the signal path from the beginning of the mix, you’ll find that you’ll be using somewhat more compression - about three or four dB. You can read additional excerpts on this and all my books at bobbyowsinski.com. It's pretty common for an engineer to have a problem with the sound of a delay or reverb during mixing. Usually the engineer will spend a lot of time trying different presets in an attempt to help everything blend better, but just a little EQ added or subtracted to the effect could've made everything fit nicely in the first place. Here are a few tips for EQing effects that will help everything blend without spending a lot of time experimenting. 1. To make an effect stick out, brighten it up. 2. To make an effect blend in, darken it up (filter out the highs). 3. If the part is busy (like with drums), roll off the low end of the effect to make it fit. 4. If the part is open, add low end to the effect to fill in the space. 5. If the source part is mono and panned hard to one side, make one side of the stereo effect brighter and the other darker. 6. 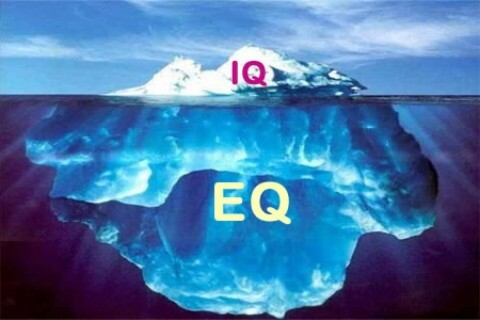 Place an EQ on the effect and attenuate all of the frequencies around the vocal (2k to 4k) to make it sit better in the mix. If your effects aren't blending, try one or all of the above tips before you change the preset. You'll be surprised at the results. Every day the Internet is full of advice for guitarists, keyboardists, DJ's, drummers, and engineers, but the one that gets overlooked all the time is the singer. I'm always on the lookout for anything that might help a singer, especially in the studio, when I came across the products of Superior Vocal Health. I thought about doing a special post on the products, but then it occured to me that it might be better to go to the source and interview the man behind the products - David Aaron Katz. What led you to create your products? I have been singing opera, Broadway and popular music internationally, as well as teaching and coaching singers of all styles for about twenty years. Throughout my career, I have always been super conscious about how I used my voice and what is good or bad for my instrument. I have always been interested in and concerned with nutrition and natural living i.e., herbs and diet and a clear mind and heart. About 8 years ago I became incredibly sick with a poisoning of my body from the foods I was eating. I almost died, and I was hospitalized for some time. I lost the ability to produce almost any sound and lost about 20 pounds and could barely walk or even hold my children. My body was wrecked. This led me to the path of raw foods and a complete lifestyle change related to what I put into my body. After many months of being completely committed to my new diet choices and lifestyle, I began singing again. I was blown away that my voice had almost doubled in size and my ability to produce sound was easier than ever before. This led me to study more and more about nutrition and the body; specifically, nutrition's effect on the voice. I continued to study and became an Herbalist and Nutritional Consultant. Year after year I researched and tried different remedies for a tired, over-used voice, a sore throat, a tired body, a cough or sinus congestion, etc. Believe me when I tell you that I've tried them all! Some worked and some did not. Most worked for only a short period of time or did not work they way they claimed. Some actually did more damage than healing! This led me to search for what really does work, naturally, without chemicals or drugs, and without adversely affecting the voice, throat and body. My goal was to find what actually helps the body as well as the voice. I wanted an optimal formula that could do everything and address all the issues, not only for singers but also for voice professionals such as broadcasters, actors, lawyers and teachers who have to deal on a regular basis vocal problems. What I found was that one formula could not address all of these issues the way I wanted, so I created the current product line such that, with all four products in tow, a singer or voice professional can have in their bag a full Vocal Health Care Maintenance Kit whenever a specific issue arises. What's the main problem that singers have and why does it happen? This is a difficult question because every "body" is different and each voice is unique. However, my experience with countless numbers of awesome singers has led me to see a few universal issues or problems that singers deal with. Number one is diet. There are certain foods that create more mucus than others and can also lead to acid reflux. Lately in my practice and coaching, I have found that more and more singers are affected by or allergic to foods which negatively affect their voice and body. These are foods that can create mucus, make their cords and throat swell or zap their body of energy, and these singers do not have a clue it is happening to them. We sing with our whole body, not just our throat, so when we clean up the colon and the body, the results are reflected in the crystal clear sound of the voice, easier and better breath flow, more energy and stamina, and a more powerful sound. You can find a huge amount of information on diet and its effect on the voice at my blog site: Superiorvocalhealth.blogspot.com. It is inevitable that all of us at one time or another will be under the weather or need some type of help. In my Vocal Health Care Kit, the Superior Vocal Health product line assists you in getting thru those difficult times, no matter what your level of study or career as a singer or voice professional. How do your products differ from some of the other similar products on the market? This is probably the number one question I get from all of the artists, producers, and voice professionals. The difference between my products and others on the market today is: Intention, quality, production, consistency and effectiveness. First and foremost, Superior Vocal Health is a company created by a singer for singers. It is not an herbal company or an ENT who wants to tap into a niche market to make some extra money! I know the voice and I use the products. In fact, I've been using the products for over 10 years. I know what the singer needs. My company mission is to help the singer. Our products are 100% organic and certified Kosher, GMP Certified, and made in the USA in an FDA regulated facility. The quality is absolutely the best you can find. Our formulas are stored in dark blue cobalt bottles because the herbs are live. This is extremely important. While it is more costly for us, it ensures that the consumer gets the very best product. This type of storage retains the efficacy of the live herbs and allows the product to continually work and do the job it is meant to do. In addition, the shelf life of the product is up to five years! I always encourage artists and voice professionals to be very careful about what they put in their body and on their vocal cords. Any product stored in plastic bottles means that the singer is putting petroleum into their body and on their vocal cords, since plastic is made from petroleum. As I mentioned before, the Superior Vocal Health product line is not a magic bullet. Balance and moderation are the keys to a healthy and successful life. Our products are for helping and aiding the voice professional when they need some support. Never rely on anything to help you sing better. For more info on Superior Vocal Health products, go to their website. I've been a Hammond organ player and lover for years. I can remember carrying my first B3 up multiple flights of steps, over bars, and onto trucks without lift gates, but that was when I was a lot younger and more eager to suffer for my art. You could never beat the sound of a real Hammond and Leslie cabinet though. But the new generations of clones and virtual instruments are getting oh-so close to where it's difficult to tell, especially if they're played through a real Leslie. Here's a great side-by-side comparison by Jim Alfredson (check him out at organissimo.org), that shows you just how close they really are these days. Thanks to my bro Ronnie Ciago (who's a great drummer in his own right) for this video. You always think of Led Zeppelin drummer Jon Bonham as being the guy who influenced a generation (going on 2) of drummers, but who where his influences? In this video, drumming great Carmine Appice gives a behind-the-scenes look.